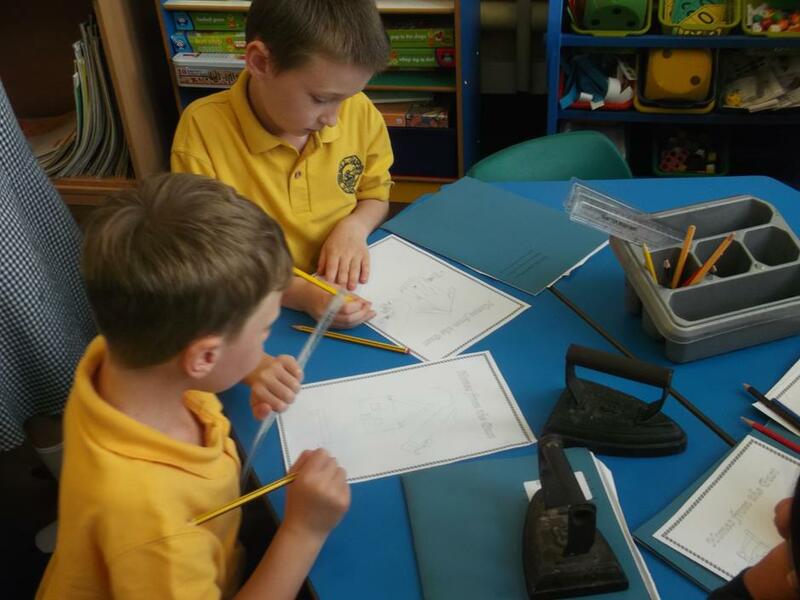 Year 2 came in from play time today to find some very unusual household objects on the tables! Their job was to guess what they thought each of the objects were and how they would have been used in the past. Here are Ronin and Aneirin talking about how an iron would have been used without an electric wire!